In the 28 years I have practiced plaintiff’s personal injury law here in Georgia, I have handled hundreds of cases, each one with a unique set of facts. I am often asked by clients what affects the value of their case? Many, many things, some reasonable and fair, some irrational and unpredictable, affect the value of a case. But they all matter. Below are just 10 such things that affect the value of a personal injury case, in no particular order. And this list of 10 items is NOT exclusive. Did you leave the scene by ambulance? If you left the scene of a car wreck by ambulance, that suggests you knew right then you had suffered a severe injury, severe enough that you needed immediate medical treatment. If you did not leave the scene by ambulance, insurance adjusters and even jurors may tend to think perhaps your injuries were really not that bad. After all, you didn’t even need to go to the emergency room. Did you or anyone call 911? See #1 above. 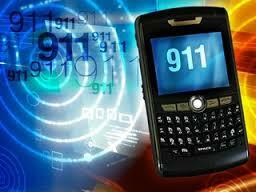 Calling 911 suggests it is a true emergency, someone (you) are really hurt and you really need help right away. Is the Defendant a corporation or an individual? Conventional wisdom suggests a jury verdict may be higher against a corporation than an individual and insurance adjusters often evaluate case value on this factor. Do you have any pre-existing injuries? This is a biggie and it comes up in just about every case. Defense attorneys will try to blame the injuries you sustained in a car wreck (or any type of incident, e.g., a slip and fall) on anything in your past other than the wreck they are involved in. So, a fall you had when you were 5 years old now becomes the explanation for why you have a herniated disc in your neck that requires surgery immediately after this car wreck you were in 35 years later. It is ridiculous, and there is no depth too low for some defense attorneys to sink to in using this as a defense. Some defense attorneys actually hire medical experts to review the plaintiff’s medical records and then give the opinion that the problem in your neck, for example (it could just as well be in your back) was there waaaaayyyyy before the subject car wreck and so the defendant is not responsible for causing it (even though you never had any pain or medical treatment to your neck before the car wreck. Go figure). Did you lose any time from work? If you are employed and lose time from your job as a result of injuries sustained in a car wreck, those lost wages are compensable damages in your lawsuit. If you were injured but were still able to work, then the injury must not have been that bad because it didn’t even bother you enough to force you to miss work. Did you have surgery? Having surgery recommended by a physician and actually having surgery are two totally different things, and juries tend not include money in their verdicts for an operation that may never happen. If you have actually had surgery for your injuries from a personal injury incident, juries will usually easily include that money for the surgery in their verdict. Also, having had surgery indicates there are some significant quality of life issues you have had to endure. Are you overweight? It shouldn’t matter, but it does. Not only do insurance carrier adjusters discriminate against overweight claimants, jurors do, too. Of course, jurors would probably never admit this, but there is no doubt in my mind they do once in the jury room. If you have, for example, a back injury caused by a car wreck, every physician will readily agree that being overweight does not help recovery and puts added strain on a back. Physicians will say this even if you never had any pain or medical treatment to your back prior to the wreck. Do you smoke? Smoking can be blamed for alot of medical problems, and defense lawyers will try to use it to explain everything under the sun, e.g., why a wound didn’t heal properly, why you have developed breathing problems in a mold-infested apartment, why a pregnant woman has an abrupted placenta requiring emergency delivery, why a patient suffered hypoxia during surgery, why you were fired from your job of 20 years, why a bone fusion in the spine did not take as it should have…just anything you can possibly imagine. The sky’s the limit. I always urge my clients who smoke to stop immediately, even if it means you must seek medical help to do so. It makes a difference. Is liability clear or admitted? Admitted or clear liability often increases the value of your case. If you also have to prove liability, in addition to personal injury from the incident, the evaluation of your case will be less because there is no guarantee you will get all 12 jurors (and a verdict must be unanimous) to agree the wreck was the defendant’s fault. Insurance adjusters will also reduce their evaluation of the value of a case if the can factor in a percentage chance the jury may side with the defendant. Can fault be apportioned to someone else besides the defendant? These days in Georgia we have a gem of a law called “apportionment” which allows a negligent defendant who has caused personal injury to someone to blame someone else and have that someone else placed on the verdict form even if that someone else is not even a party in the lawsuit. A jury can thenm apportion percentages of fault to anyone listed on the verdict form. Recently, our Court of Appeals allowed this vicarious blaming to include an unknown, unnamed, unidentified alleged person called “Mr. Black.” (Literally, there are “air quotes,” “”, around this unknown person’s name in the opinion). If there is apportionment in your case, it will negatively affect the evaluation of your claim. And, it makes it very difficult to predict what precentage of fault a jury will assign to the various people or entities allegedly also at fault, so being able to settle cases without worry or backlash becomes almost impossible. This is just the beginning. I may, from time to time, add to this list. I can easily think of another 10 factors right now that affect the value of your case without really even having to spend much time doing so. Sometimes when a potential client comes to me with their “slam dunk” case, I have to have a reality check with them on just some of these factors. Robin Frazer Clark pursues justice for those who have personal injury claims as a result of being injured in motor vehicle wrecks, trucking wrecks, defective products, defective maintenance of roads, premises safety, medical malpractice and other incidents caused by the negligence of others. Ms. Clark is the 50th President of the State Bar of Georgia and a Past President of Georgia Trial Lawyers Association and has practiced law in Georgia for 26 years. Mrs. Clark is listed as one of the Top 50 Women Trial Lawyers in Georgia and is a Georgia Super Lawyer. Robin Frazer Clark~Dedicated to the Constitution’s Promise of Justice for All.